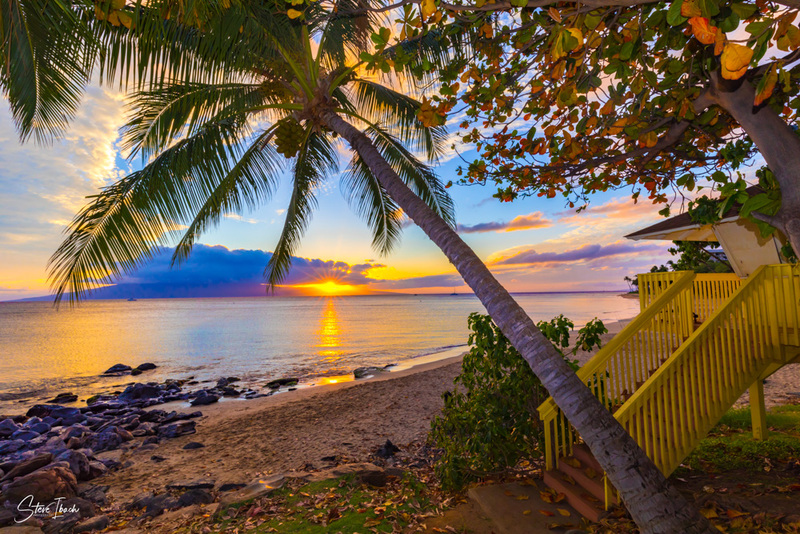 As you watch the sunset from a peaceful Hawaii beach park you notice the purple hues in the clouds over the Island of Lana’i in the distance, the vibrant colors of the changing leaves on the trees shading the yellow lifeguard stand and the perfectly placed coconut tree above. It is then that you realize this is paradise and a scene you never want to forget. If you have ever visited Hawaii or just love the beach, ocean and serenity of the tropics, this beautiful scene will add a relaxing element to your home or office.